The Harp has been used as a symbol of Ireland since medieval times. During this time Ireland was famously known for the intricate beauty of harp music. Now you can bring this timeless symbol of Ireland home with you to treasure. 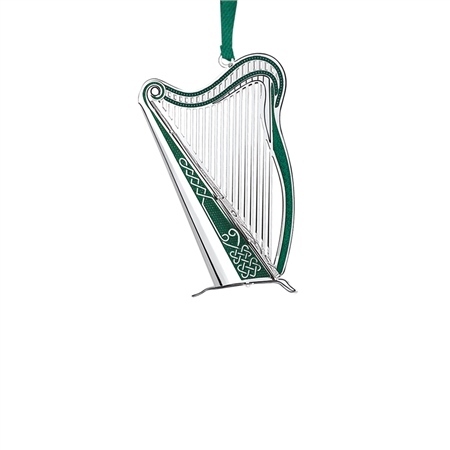 The Irish Harp decoration features a silver harp engraved with an ancient Celtic design. Romance of Ireland Harp decoration, silver plated with a protective anti tarnish layer, green epoxy detail, suspended on a green ribbon, presented in a Newbridge Silverware gift box.